This cell phone case is made of quality nylon and a unique magnetic clasp for quick entry to your phone. 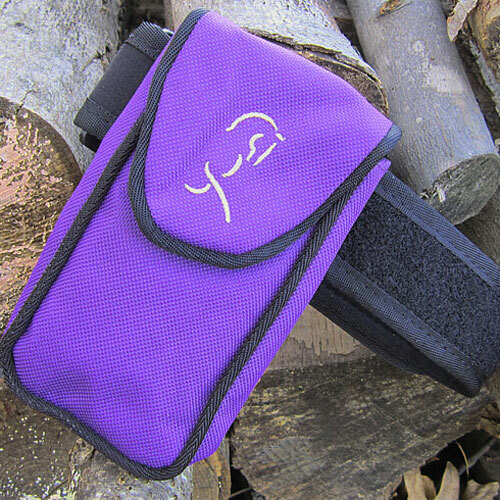 Generous strap secures it to your arm or leg. Embroidered horse design on the flap. Choose color: Black, Purple, or Blue.